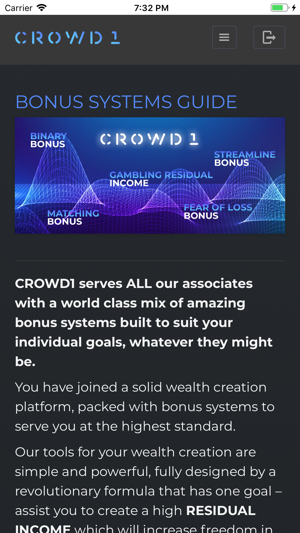 Get connected with the Crowd1 app! 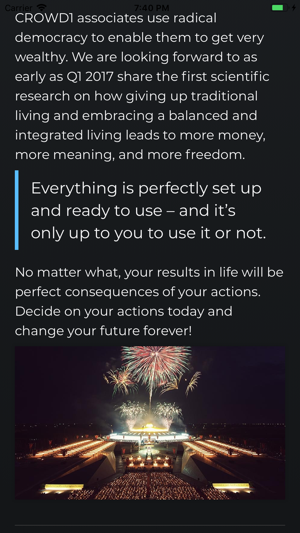 The app is packed with features making it easier for you to build your dream business! Download it now to get push notifications on payouts, important news and new signups in your organisation. Your downline viewer, bonus calculations and withdrawal function are only a tap away. 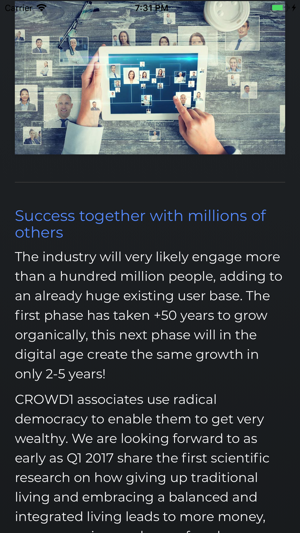 The Crowd1 app also remembers your login details and simplifies your work in so many ways.